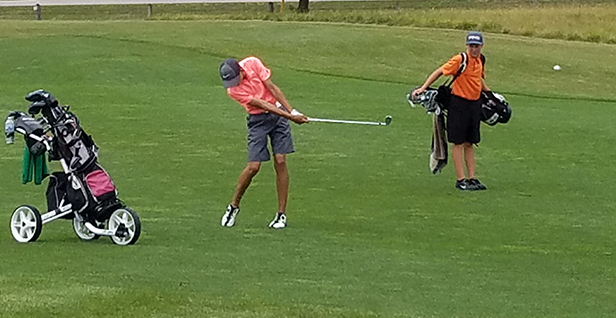 Riverside, IA – The pairings and tee times for the Junior and Pee Wee Spring Series #1 event, which takes place on Saturday, April 21 at Terrace Hills Golf Course, are now available on the Junior and Pee Wee tournament information pages. All groups for the Junior Spring Series #1 will go off the first tee, with the first group teeing off at 10:00 a.m. The boys 12-18 and girls 14-18 age groups will play 18 holes, while all other age divisions will play nine holes. For a complete listing of tee times and pairings, and general tournament information, participants should visit the Junior Spring Series #1 tournament information page. The Pee Wee Spring Series #1 groups will also go off the first tee. The first group will tee off at 12:45 p.m. following the last Junior group of the day. The boys and girls 8-11 age divisions will play nine holes, while the boys and girls 7 & under age divisions will play six holes. Modified, shorten tees will be set for most Pee Wee Divisions. For a complete listing of tee times and pairings, and general tournament information, participants should visit the Pee Wee Spring Series #1 tournament information page.